Fresh intel has surfaced from the ongoing production of Fast 8, the latest installment in Universal’s seemingly evergreen juggernaut that is now filming in Cuba. It marks a radical change of location for the Toretto crew, who were last seen housed up in the Icelandic town of Akranes, and the franchise’s official Twitter account posted a brief message from the South American set. Featuring director F. Gary Gray flanked by a group of what we assume to be female extras – some things never change – you can view the video below. Currently shooting for an early 2017 release, Fast 8 has drafted in a handful of genuine A-listers as Universal looks to jump-start one final trilogy. That casting spree includes Scott Eastwood (Suicide Squad), Kristofer Hivju of Game of Thrones fame and Charlize Theron as the franchise’s “greatest villain.” Theron’s newcomer won’t be the only nemesis hunting Toretto and his tight-knit family, given that Jason Statham is set to reprise his role as Deckard Shaw – just as soon as he breaks past 38 feet of concrete and The Rock’s fist, of course. 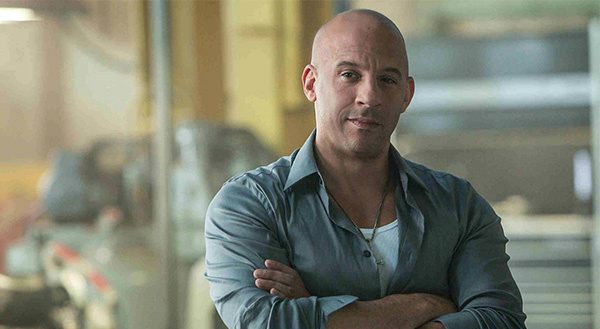 Among the familiar faces due to appear in Gray’s tentpole are Vin Diesel, who returns to headline the balls-to-the-wall actioner as Dominic Toretto, Michelle Rodriguez’s Letty, Lucas Black’s Sean, Tyrese Gibson’s Roman, Ludacris’ Tej, and Dwayne Johnson’s former law enforcer, Hobbs. As Universal gears up for one final mainline trilogy, Fast 8 will kick things off with an Icelandic bang on April 14, 2017. It’ll be followed in quick succession by Fast & Furious 9 and Fast & Furious 10 on April 19, 2019 and April 2, 2021, respectively.